This has been out for a few weeks so this mention is running a bit late. The latest in the series of limited edition seven inch vinyl releases by Trojan are two vocals sides by Al Barry And The Aces – on a facsimile Creole label. 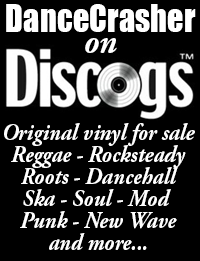 Apparently these tunes were the result of Barrington Howard AKA Al Barry from Desmond Dekker’s Aces hiring some studio time at Studio One on a return visit to Jamaica from the UK circa 1970. 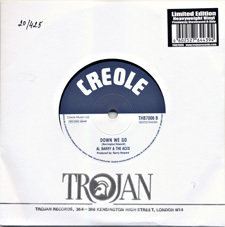 The B side, Down We Go was previously issued on the Creole label in 1971 and was recently included on the Trojan CD The Heavy Heavy Monster Sound – The Trojan Records Story. 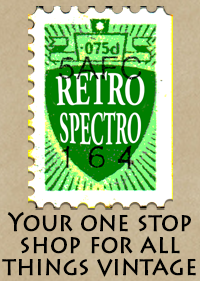 The real gem is the top side, Treat Me Good which has that classic 1970 Sound Dimension sound. Trojan have said that this is unreleased but this is incorrect, it was originally issued on a 1972 Explosion single titled Show Some Loving and credited to The Swans. 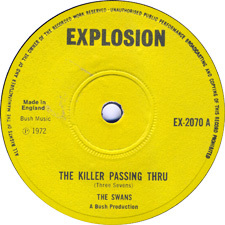 The missed opportunity here is that the original Explosion issue had a deejay cut of the same rhythm titled The Killer Passing Thru, this is every bit as good as the vocal piece if not better. All the same it’s worth it for Treat Me Good (AKA Show Some Loving) alone and like the other releases in this series this comes on a seriously heavy duty piece of vinyl complete with a facsimile die cut printed sleeve.